The United for Efficiency initiative, a public-private partnership led by UN Environment for LED lighting systems will publish a model regulation will, for use by interested countries. All essential pieces of information like description of what to cover, definitions, test methods, minimum efficiency levels, and a set of common-sense minimum quality and performance requirements along with market information that will help ensure consumers have a good with LED bulbs will be covered under this publication. This document containing the regulation will be provided to United for Efficiency partner countries in Asia, Africa, and Latin America. In addition, countries that implement the regulation in a harmonized manner will be able to reduce trade barriers and be able to generate opportunities to share resources, such as testing facilities. The regulations are supported by leading environmental groups such as the Natural Resources Defense Council (NRDC), UN Environment, and various other national governments, and also by leading lighting manufacturers. Shifting to shift to energy-saving LED lighting has been identified as one of the fastest and cheapest ways to deliver massive carbon savings and relief to stressed electricity grids commonly found in developing and emerging economies. The goal is to get as many countries as possible to adopt regulations so that, developing and emerging countries don’t become the dumping grounds for incandescents and halogens, or poor-quality LED bulbs. 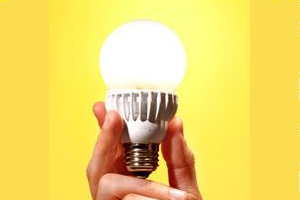 Shifting to more efficient appliances and air conditioners can take more than a decade for the existing stock to turn over, or for the switch to electric cars which will take even longer, installation of more energy efficient lighting can happen far more quickly as the old incandescent bulbs burn out within a year or two.